If you’ve got a garden full of trees and bushes and find them growing faster than you can manage, it can be an overwhelming feeling. You might find yourself spending hours each weekend trimming back branches and trees just to have them grow back in days meaning you spend all of your free time trying to stay on top. While it’s essential to keep your gardens trimmed back neatly not only for the visual appeal, it’s a great way to safeguard against future mess and debris when the weather starts to act up. However, spending your entire weekend in the garden doing pruning isn’t everybody’s idea of a good time. What if there was a product that could make light work of your trees and bushes so you could get a usual day’s work done in under an hour every time? Remington RM1425 Limb N Trim Chainsaw could be just what you’re looking for, with a compact and friendly approach to yard work. This chainsaw was specifically designed to cut small limbs and saplings, and it does so in a user-friendly package. If you look around your home or garden shed right now, you can probably spot at least one product from Remington. This famous American brand has been providing our households with quality and easy to use products for hundreds of years now, and their range of power tools is a testament to their ongoing commitment to this superiority. The Remington RM1425 Limb N Trim 8 Amp Chainsaw is an electric powered chainsaw, which means you get to enjoy the power and torque usually associated with these tools without any of the emissions, noise, or mess. This chainsaw is the ideal choice for someone who might be unfamiliar with power tools but needs a bit of an extra hand in the garden. If you’re tired of putting in hours of manual labor just to be back at it again in a few days time, it’s time to cut through the hard work with the Remington Limb n Trim Chainsaw. This is one of the most compact and lightweight electric chainsaws around, and the power is quite surprising considering its size. The best part about using it is how easy it is to operate, provided you’re only planning on using it around the house. Don’t try to tackle any large jobs with this and stick to just branches and limbs, and you won’t have a problem. The Remington RM1425 is a great fit for first-time users, and because it’s assembled straight out of the box you don’t need to worry about getting any of the bits and pieces wrong. Just plug it in and you’re ready to go, but be sure to have an extension lead ready if you want to wander further from the house. According to many of the online reviews, you’ll need to be cautious with the chain oil in this product. While there’s nothing wrong with the oiler as such, users have found that if you leave oil inside the product it will leak out when not in use, so you have to be sure to empty this every time you finish with the machine. This can take a bit of time if you’re used to an automatic oiler, so be prepared for this extra step. This chainsaw has been designed with comfort in mind, which can be a huge plus for users with conditions like arthritis. The wrap around handle will protect you from debris but also makes it extremely comfortable to grip, and because it’s powered by electricity it’s not as hard to keep a grip of like a gasoline powered chainsaw is. 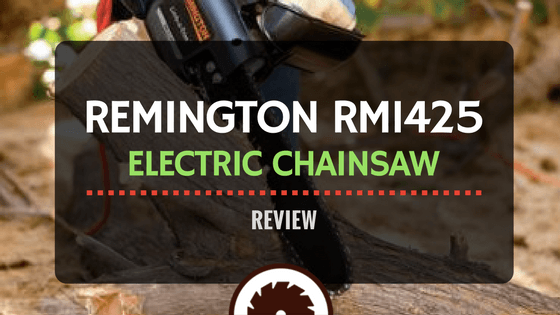 If you’re ready to put a stop to the wasted hours in your garden and want a cheap but effective little chainsaw, you’ll want to know how to get your hands on the Remington RM1425 Trim and Limb Electric Chainsaw. The best place to get a good deal currently is through Amazon, as they have it listed for an extremely low price of under $50. For this $50, you’ll also receive free shipping, and if you’re an Amazon Prime member you can even get the chainsaw delivered in just two days with their express option. For peace of mind, you can even pick up some extra chain oil or a replacement chain from Amazon as well, and with the right seller, you can combine the shipping. Remington offers a two-year limited warranty on this which isn’t as high as comparable chainsaws, but when you purchase an Amazon protection plan on top you can get extra coverage. A four-year protection plan from Amazon costs just over $10 and will get you an additional four years to cover you for malfunctions and breakdowns with your product. This offer can’t be passed over when you consider you’ll get a quality chainsaw with six years guarantee behind it. If you’re looking to add an affordable and lightweight chainsaw to your gardening toolkit, you really can’t go past this one. It’s cheap but effective and will make light work of the branches and saplings around your garden. The Remington RM1425 Limb and Trim Electric Chainsaw is great for the first time user and is the perfect household sized tool. 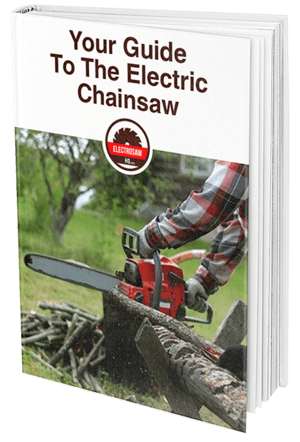 To get some time back in your weekends and make yard work enjoyable again, click here to purchase the Remington Limb and Trim Electric Chainsaw. You’ll have so much fun using it that you’ll want to devote even more time to keeping your garden clean and green.